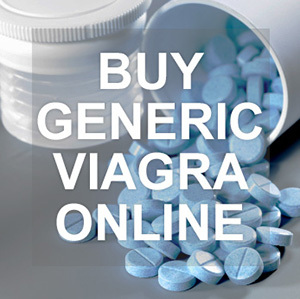 Fenilver from Vermodje is an anabolic and androgenic steroid, created on the basis of nandrolone phenylpropionate. At that time, the first serious studies devoted to steroids were actively conducted. For today, there is no better drug with the same effect. In medicine, nandrolone phenylpropionate is used to accelerate the recovery processes in patients undergoing surgical operations. According to the medical instructions, the drug is used to treat growth retardation and muscular dystrophy in adolescents, and also as a preventive agent for breast cancer in women. Many athletes are well acquainted with the drug’s counterpart on the active substance, nandrolone decanoate. Some athletes calling on our Forum believe that their effect is very different and in general it’s the opposite steroids. In fact, the difference lies only in the period of activity of the substance in the body. Nandrolone phenylpropionate remains active for 2-3 days, and decanoate, a longer ether, is active for a week. In this regard, and the dosage of Fenilver from Vermodje should be somewhat larger, and injections should be placed more often. The drug is good because it is not converted to dihydrotestosterone, but is converted to a safer and less active substance. The development of their own testosterone with a short course is reduced very little. Side effects of Phenyler from Vermoja are very weak or not at all when using a steroid in the recommended dosages. This is due to the low degree of aromatization of the drug and small androgenicity. In some cases, especially with abuse of dosages, acne, increased fluid accumulation, increased fat layer and gynecomastia occur. Nandrolone phenylpropionate injections are usually administered every other day or every two days at a dosage of 100-200 mg. The course of the drug lasts from 4 to 8 weeks, depending on the physical preparation of the athlete and the objectives of the course. The use of Phenyler in such volumes is sufficient for a tangible set of muscles and strength. When using phenylpropionate it is important to observe the regularity of injections so that the concentration of the hormone in the blood is constantly high. To answer the question how to take Fenilver to women is pretty simple. The safety of the drug allows the injection of injections every three days, at dosages of 50-100 mg per injection. For women, taking such injections is more appropriate than other anabolic drugs, since it has a short term of excretion from the body and practically does not aromatize. All these properties make it easy to avoid the appearance of virilization and masculinization, and at their first signs it is enough to stop taking the drug. After a few days, a maximum of a week, everything comes back to normal. Many athletes are interested in the question of how to take Fenilver in combination with other drugs to achieve the greatest effect. The combination with esters of testosterone and methandienone will increase the volume of the recruited mass, slightly reducing its quality. A combination with trenbolone, stanozolol or oxandrolone will give the maximum dry relief and significantly increase the power.